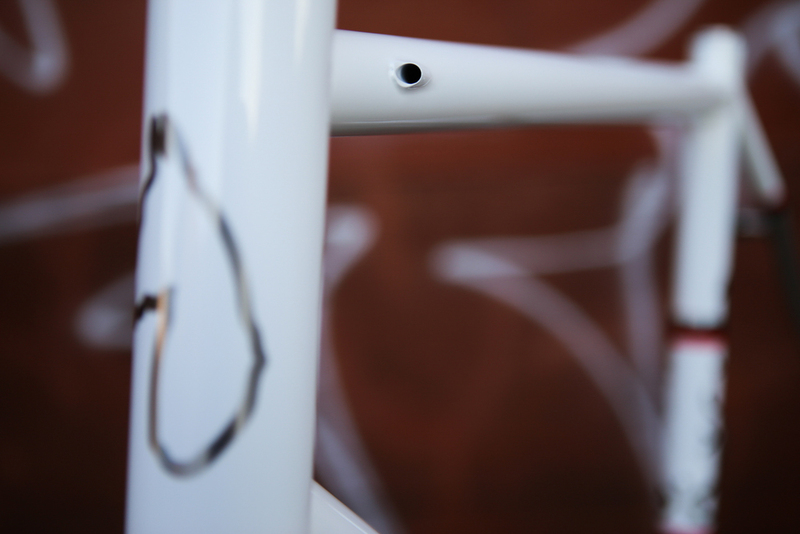 Custom painted in the Horse Cycles Paint Shop by in house painter Ben Falcon. 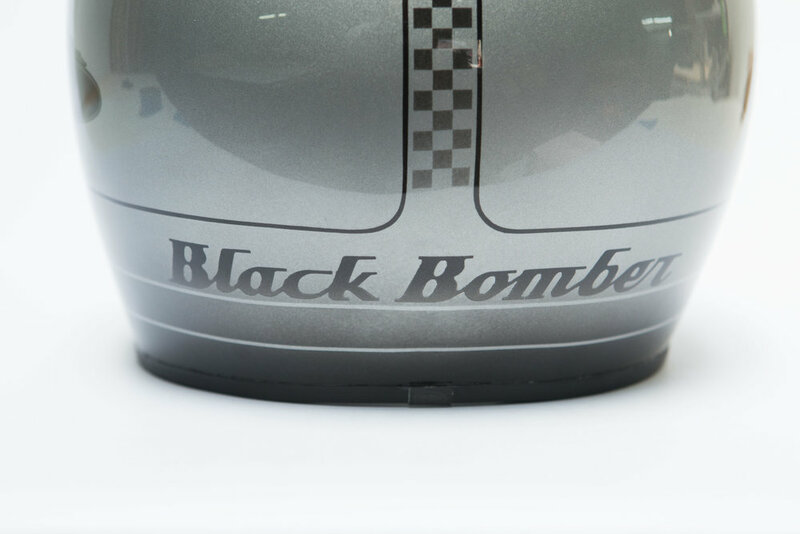 This was a really special job painted for a good friend Michael Higgins as an ode to his 1967 honda CB450 appropriately named the "Black Bomber". Michael has meticulously restored the '67 with full chrome and black detailing and can be sean riding around the streets of brooklyn. This is the ultimate touring / bike camping / adventure bike. Made for local hooligan and very talented craftsman Steven Bukowski . 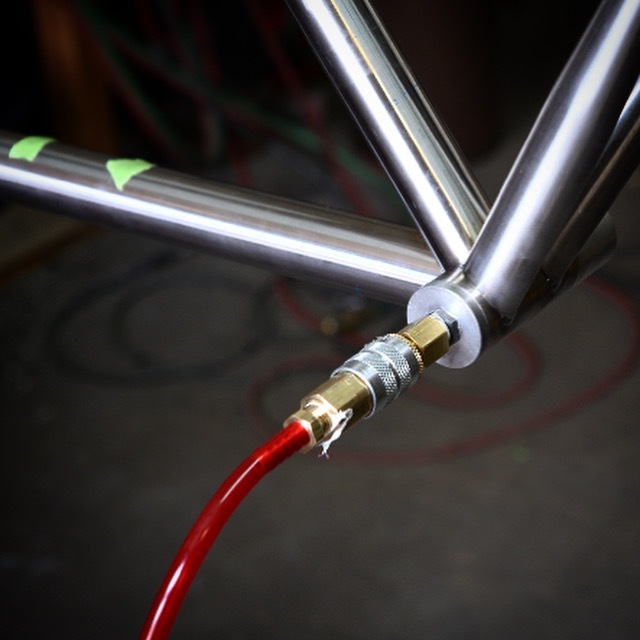 The TIG welded main triangle was built up with USA True temper Ox Plat tubing, Paragon Machine works "low mount" disc dropouts mounted up with Paul Klamper disc brakes, Pacenti lugged fork crown, and finished off with some sweet paint from our in house spray booth guru Ben Falcon. This lady is ready to take it to the limit and beyond! Check out some of the details below! Stainless steel Can be an amazing material. Stainless was invented less than 100 years ago around 1924. Columbus, an italian bicycle tubing manufacturer makes the best Stainless steel bicycle tubing in the biz. Stronger than anything else out there it can be drawn very thin while remaining super strong making for a light weight responsive ride. Here are a few process shots of the bike in progress. When welding stainless steel you must "back purge" the welding area. This creates a shield that protects the weld from Oxidation, (the presence of oxygen that creates a build up of contamination). Here you can see how the frame is plumbed as gas is fed into the frame creating the shield. At the welding area the torch creates the shield on the outside at the welding area. Once the steel has cooled (about a second or two), the steel is not susceptible to the same oxidation. The shielding gas used is argon. A non flammable gas that is just a bit heavier than air. Ezra Caldwell was a friend and fellow bike builder in NYC. I didn't know him for very long, but his work still inspires me. I have been wanting to build a bicycle that spoke to his past work, his character and our brief friendship before he passed. A way to keep him in the forefront of my mind. A way to keep his spirt and love for living rolling. Dar Patel, an architect and a friend, came to the Horse workshop with an idea for a custom bicycle. His aesthetic was spot on, with reference imagery for the bicycle design spanning furniture, textures, colors, and components. He had also shown me an image of a FAST BOY, one of the many bikes Ezra had built. The following images are of the final product, encompassing both Dar's vision, sprinkled with some hints of a very talented Ezra Caldwell. Enjoy. Brass headset topper turned on the lathe here at the workshop / angle swept bars. Hand stamped brass head badge. 29er + with clearance for 3" tires. Paragon machine works adjustable sliding dropouts, True Temper OX platinum tube set with a custom turned 44mm head tube. Basically a whole lotta fun! I picked up an old Atlas Drill press from a good friend in the neighborhood. I believe it was manufactured between 1945-53, and Atlas still continue to be some of the nicest presses out there. But this one wasn't working, and my buddy just wanted it out of the way as it was taking up space. Over the next 3 months I gave her some love, stripped it down to bare bones and brought her back from the grips of death. I started by stripping all the layers of paint and years off the drill press with many coats of paint remover. I disassembled all the parts, including the motor then scuffed the whole body. Ben Falcon, Horse's paint maestro, primed and painted her with a single stage black gloss paint. I brought the Atlas logos back to life by highlighting them with gold sign paint. Next I completely re-wired the machine so the original on-off switch was back in business, as it was not working when I first got the machine. I put new brass lever-ends on the quill feed handles, as well as a new return spring, adjustable v-belt, lubrication fittings, bearings, etc. The Drill press runs, feels and looks great. I love these old machines and I love the idea of keeping one in operation in hopes it will continue to serve for years to come. Here are some shots of a recent paint job that came through the shop. Ben Falcon has been working with us full time for about a year now and his work just keeps getting more crispy. All the work is done by hand by taping off different layers of paint. After two coats of clear and a good sanding we then blew on the Matte Clear coat which I think really finished it off nicely. If your interested in custom paint for your steed get in touch. Enjoy the work below. Made of OX Plat True Temper tubing and a columbus Life stays this bike is light as it is nimble. The Paint is Root Beer on Root beer candy flake extravaganza and really pops in the light. Paired up with a ENVE carbon fork and some custom built H+ son rims, its a road eating machine. 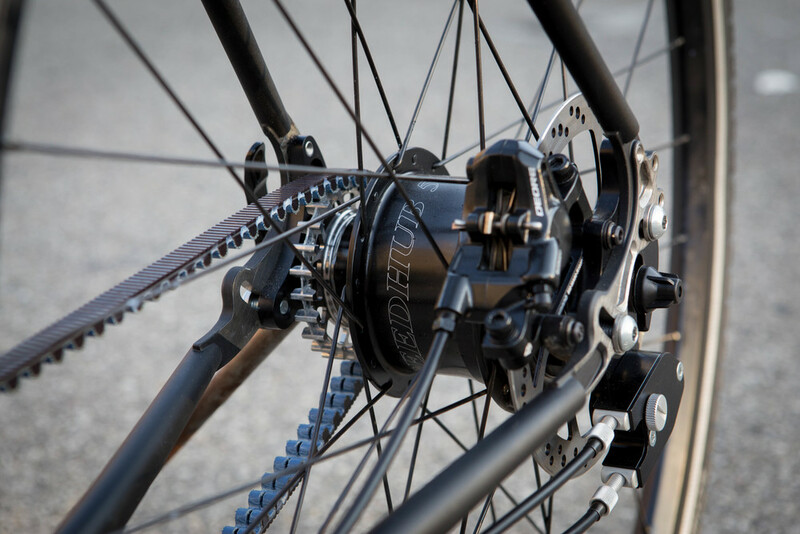 Challenge 32 tires are maxed out on the front and rear of the bike but give great stability, grip, and road feel. the 300tpi casing and max pump 160 psi will carry you at speed. Dressed up with the new Carbon Brooks C13 saddle and matching Brooks bar tape, this girl is ready to party. Check out more detail shots in the gallery below. 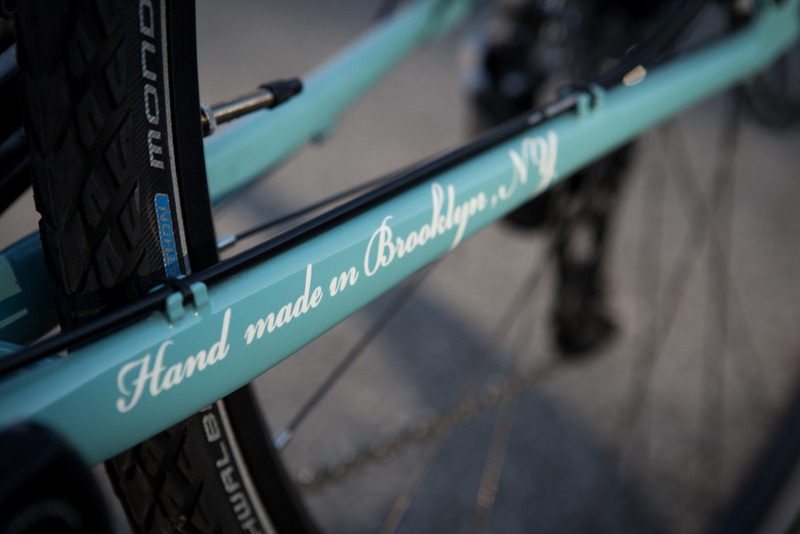 Brooklyn’s finest have come together to create the Anthem track bike. 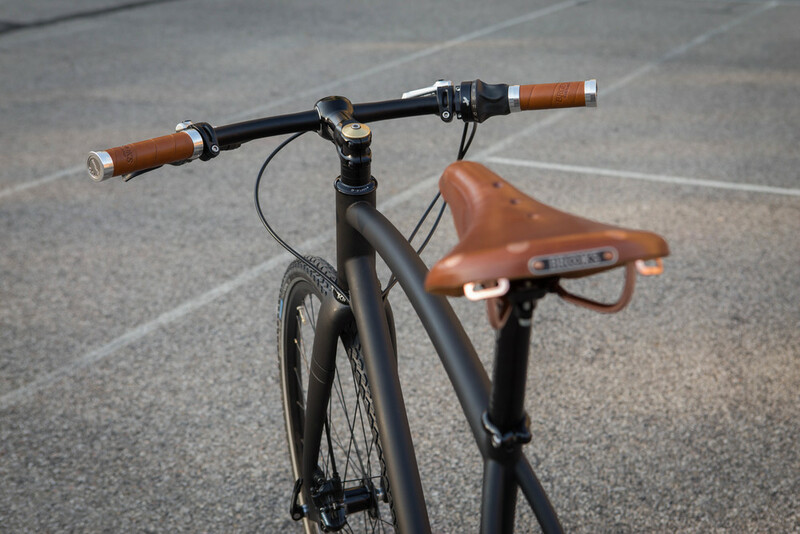 The proprietary design is from Affinity’s Jason Gallacher and handmade in Brooklyn at Thomas Callahan’s custom fabrication shop ‘Horse Cycles’. The Anthem features lightweight, aerospace grade air hardened steel with a True Temper OX Platinum and a oversized down tube. 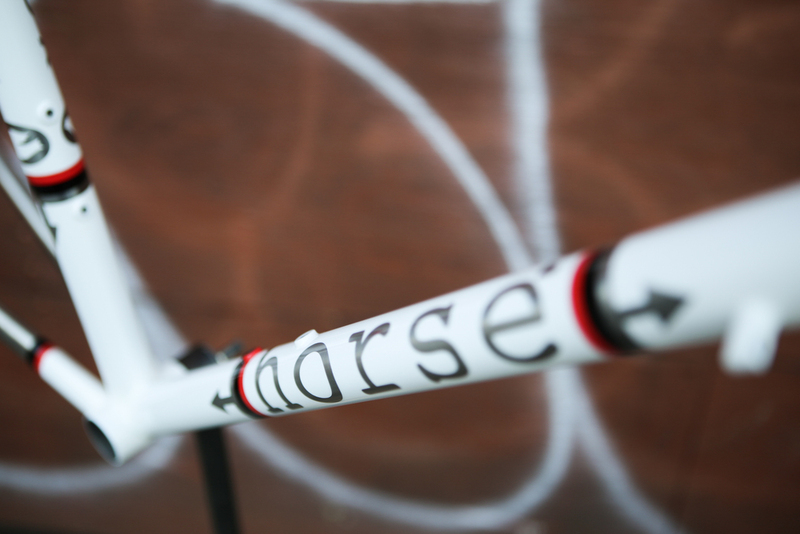 In addition, a thin sleek integrated seat mast and classic campy style dropouts were integrated. What set’s the Anthem apart is a proprietary seat post wedge co designed with famed bicycle industry design engineer Aaron Panone of 44rn as well as the tapered head tube with an Enve fork and color matched headset. What makes this project special and the Anthem so unique are the people who came together to make it all happen. The Anthem is made right here in our shop and only 20 will be available to the US market. Head over to Affinity Cycles for more info and secure yours before they vanish! There is nothing better than a winter fire. The confidence that you can keep warm on the coldest of days is a good feeling when you're far from the hearth of the home. Better yet, is the ability to enjoy the outdoors all year round. The quiet that comes with the winter wind brings it's own kind of unique beauty. 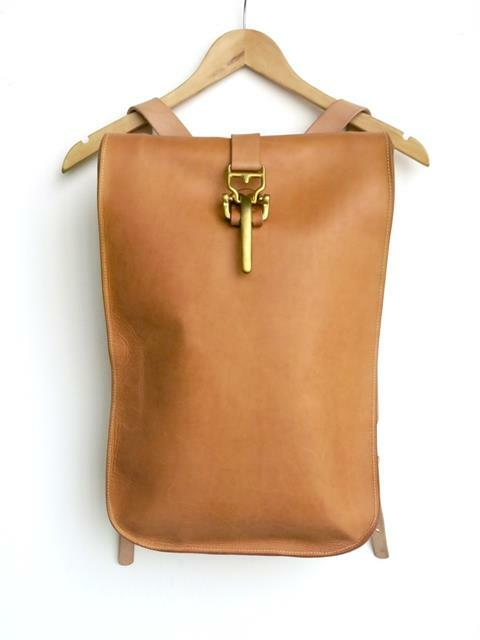 Pair that with a warm cup of joe or just some fire light to warm your toes and you're golden. Last weekend we headed out to Montauk with a few friends, it was a bit chilly for a surf, so instead we decided to pack up some wood and walk to the beach for a snowy fire. Having a few tools like a hatchet and a knife are invaluable when getting a fire started. Collecting enough small dry pieces of wood with as much surface area as possible is key for starting and maintaining a flame. The strong wind and the snow on ground set us up for a challenge. We started by setting up the larger logs as a wind breaker, stacking them, one on top of the other, making an arrow pointed into the wind. We used all the small pieces, shaved with the hatchet and knife, bundling them in the little wind shelter made by the larger logs. That, with the help of some dune grass, was enough to get a spark that would slowly give us our fire. One of the best days this winter. Just the act of heading outside with friends and the simple goal of making a small fire to warm your bones is enough to make even the coldest days worth getting out for. The 29er + is a boss mountain bike with the ability to rock 3" + wide tires. This tire clearance does two important things. 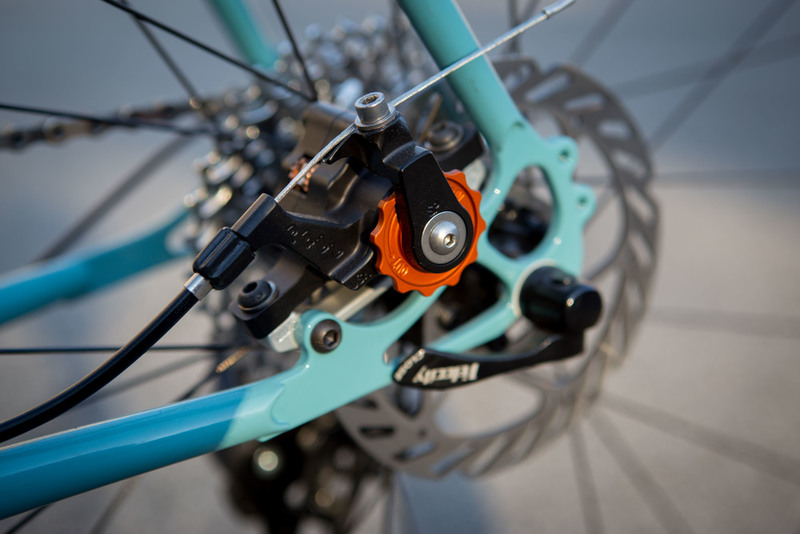 One, Provides Suspension in the front and rear. Riding on a larger volume of air allows for a smother ride and lets you topple over anything in your path. The other and more important allowance is the traction that is gained by the larger surface area of the tire. The more contact with the ground the better traction, climbing and stability you have. This + size 29er is built with true temper ox platinum, USA made high quality alloy and sports a 84mm bb for grater tire clearance. Tee head tube is 44mm and supports a tapered fork steerer. Set up for disc, 1 x 10 or single speed gearing and a 12mm through axel on Paragon sliding dropouts this little pup will shred the trails! 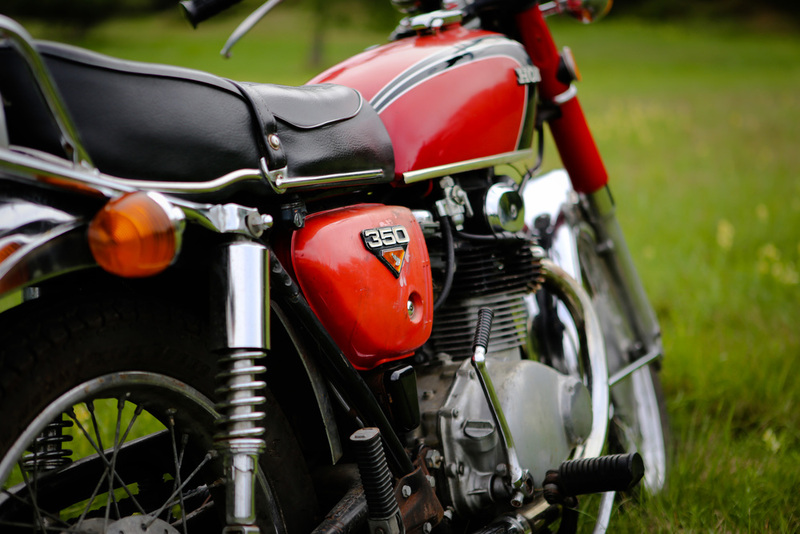 The Honda CB350 Super Sport sits as a cornerstone in the history of motorcycle engineering and design. 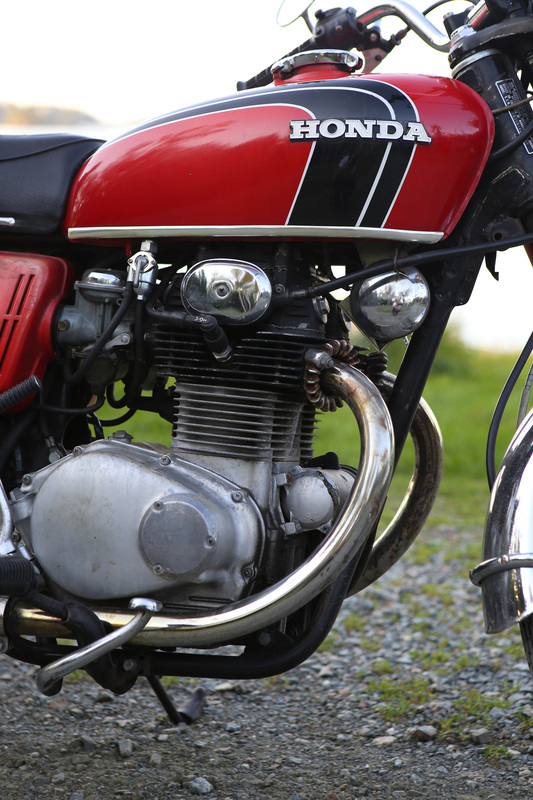 Over 250,000 were sold from 1968-1973, making it one of Honda’s best selling models. During that time it became one of the most popular street bikes in America. It’s air cooled, parallel twin cylinder, four stroke engine delivers 36 horsepower and weighs in at 375 lbs wet. 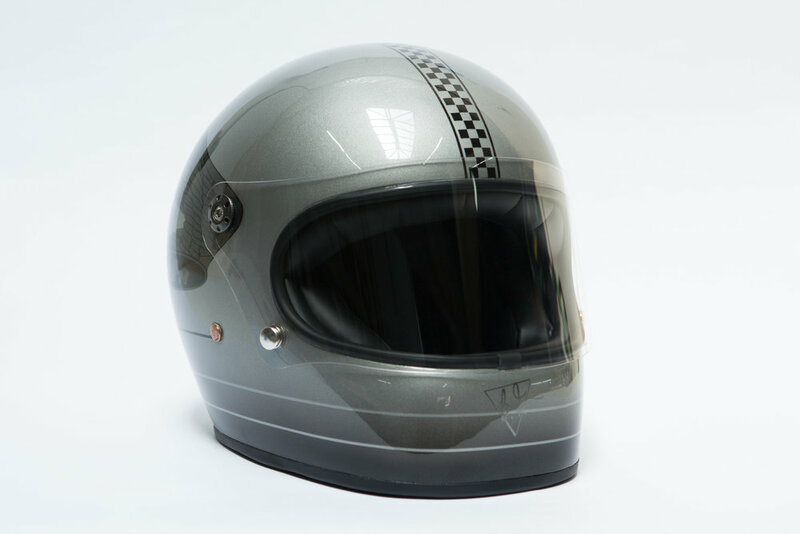 It’s simple engineering and abundance of parts makes it accessible to novice and advanced wrenchers alike, and it’s sleek and tight design has lent itself to the modern cafe racer revival. I purchased my stock 1972 CB350 Super Sport this past summer, and have had a blast riding and maintaining it with the help of a few more seasoned riders and mechanics. 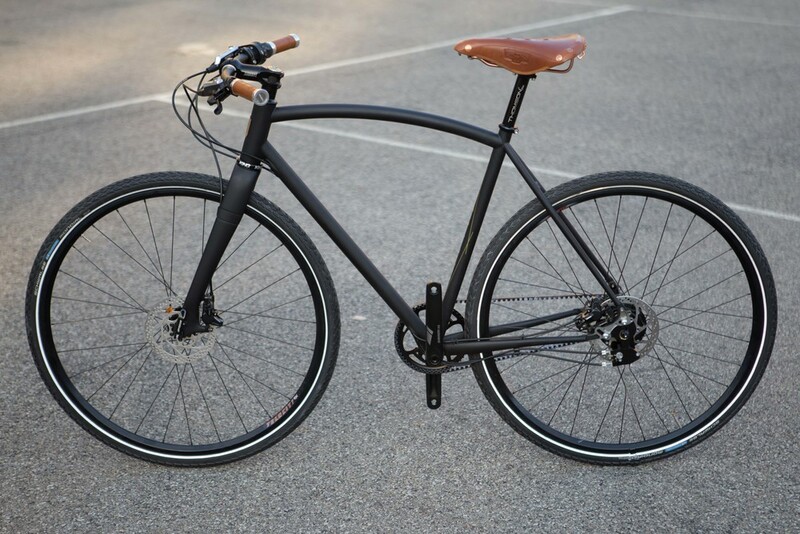 The bike zips through crowded city streets with agility and opens up on back roads with ease, making it ideal for day trips to nearby beaches and mountains. Other than some basic tuning and an upgrade to the charging system, the bike has required little work and runs great. I’ve considered making some modifications to the bike but there is something satisfying about riding a completely stock vintage bike, especially one that looks so sharp. The rear luggage rack is also clutch, as I have plenty of space to carry a passenger, a bag, and a blanket, allowing for total self sufficiency. 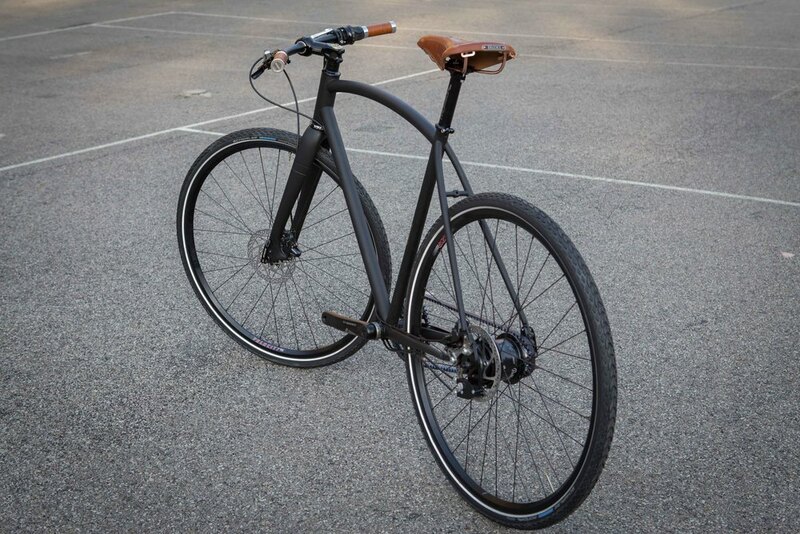 Simple and understated, this bike sings a quiet beautiful song when you take her for a spin. Dillon Edwards from Parlor Coffee wanted exactly that. Something he could make rounds on visiting local Brooklyn customers while enjoying a bike made just for him that sings. 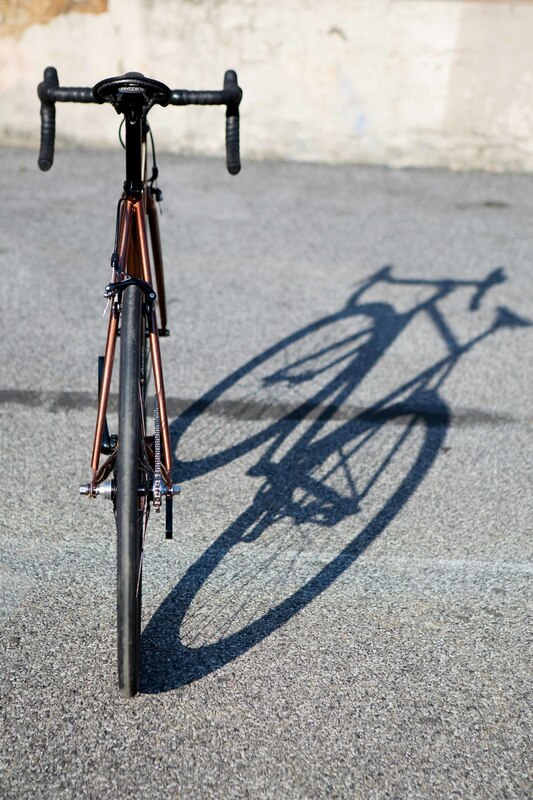 Stout, simple, built for a front load, this single speed is made out of 100% US made True Temper double butted steel. Fenders and a simple reflector keep it safe and dry. A Hand stamped copper down tube badged is the only branding on the bike. The final touches were the hand carved seat tube cluster and the custom quill stem with brass topper. Dillon is a super rad dude and is really passionate about what he does. Meticulous in his approach to quality. It is a pleasure working with someone who displays these traits in there own life, the same traits we at Horse strive for. Such an honer to build this bicycle for him, knowing he loves it, and knowing he rides it hard. Parlor Coffee is a local Brooklyn Coffee Roaster in the Navy Yard just off of Vanderbilt. Like Horse its a manufacturing facility and not a shop store front, however they do have cupping's open to the public every Sunday so stop by and say hi, have some coffee and look out for Dillion's lovely bicycle. Meryl is good friend and a local Brooklyn cyclist. One of the coolest things she does is work on the North Brooklyn Urban Farm on Kent Volunteering her time and getting her hands dirty day to day working on bringing the rest of us the beauty that grows from the ground. Meryl is participating in a multi day stage race later this summer and we worked together to get her on a bike that would take her down the line. A bike that was fast, light and agile. The Urban Assault! We spruced her up with a some fancy paint from the Ben Falcon in the Horse Custom Paint shop and sent her on her way. Thanks for the support and good riding. The 27.5 MTB has hit its stride in the off road circuit as the perfect tire size for medium size riders. 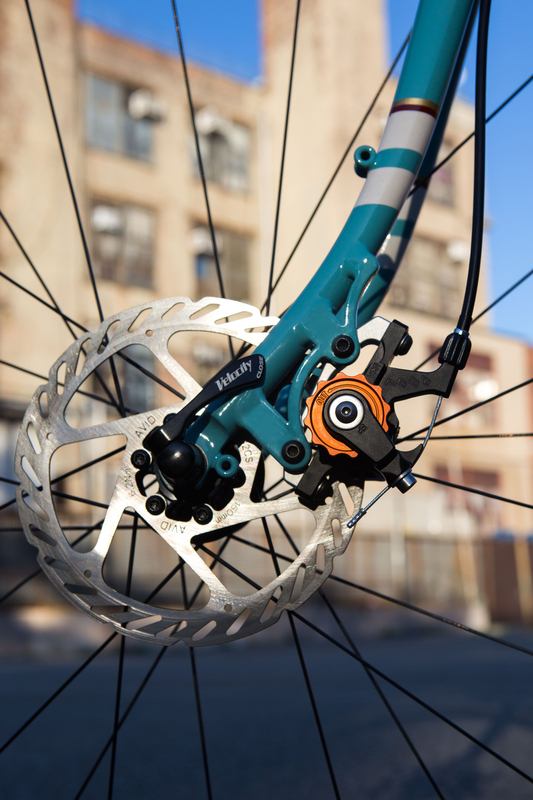 Smaller than 29ers, and larger than 26", makes it nimble and stout enough to roll over anything it its path. The coolest thing about this bike was how John Munz (the owner of this beaut) brought NYC and Boston builders together. He is a long time friend and supporter of FireFly up in Boston and wanted to spice it up with some custom anodized titanium components. After shipping the bike up to B-Town and slapping some sauce on a custom seat post, stem and bars, the boys had myself and Mr. Munz up for a shop visit and took us out on some trails to test the new ride before filling us up with some vegan tacos! Yum!!!! I have to say the FireFly shop is one of the most impressive shops I have seen and those boys make a mean Ti bike! On top of that they are super rad dudes. Thanks for the shred, thanks for the ano, thanks for the tacos. Super spicy Anodized Fade Titanium seat post from the boys up at FireFly. The bike is specced out with a full TrueTemper OX plat tube set, Custom turned 44mm head tube, Paragon Machine works Low Mounted Disc dropouts, 15mm Reba Air Rock Shocks Fork with hydro handlebar lockout and full XTR. Special thanks to Mr. John Munz for his vision, Ben Falcon working for us here at Horse Custom Paint and Firefly for the Spicy snacks! Check out the slide show for more pics, or our fliker to see some other builds. Keep your eye out for Team Tomez + size 29er coming in a few weeks! Thanks to our friends at Surname Goods, each handle comes to us milled into 1/4" blocks inlaid with bright maple. The combination of quality high-carbon blade steel and the opportunity to incorporate a piece of Coney Island history makes each of these one of a kind knives a special piece very close to our hearts. Check out the shop for more info. “The idea for making knives came from an obsession I had with wanting to create a tool that I could use out when I’m in the wilderness,” Callahan says. “I wanted it to also act as special object that added value to that extended task, something that I could have and I could know someone’s hands were on it, know how it was made.” The idea for using wood from the Coney Island Boardwalk came from his friend Steven Bukowski, one of the founders of Surname Goods, who had stumbled upon wood salvaged in the aftermath of Sandy (he was using it to create a set of Boardwalk Coasters)."